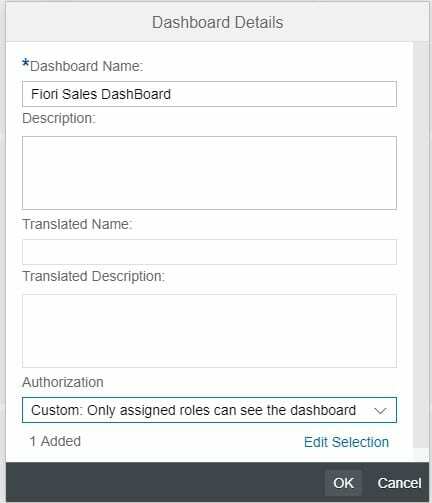 One of the cool new features of the 1811 release of SAP Cloud for Sales and Cloud for Service is the Dashboard Designer in Fiori and the use of global filters. 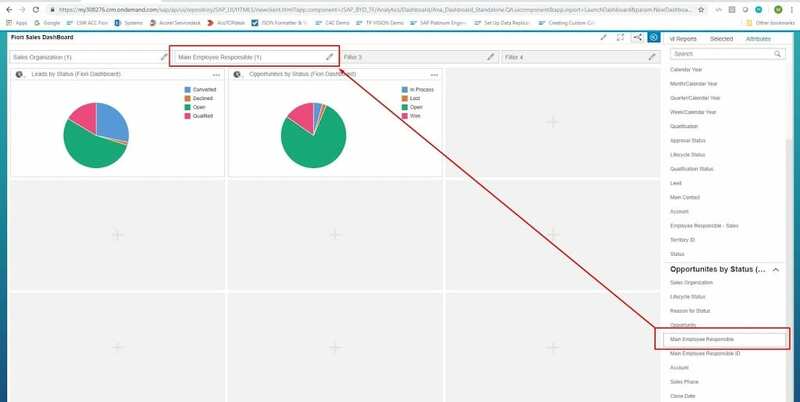 In this blog I will show you how to switch to the new dashboard builder and how to use the Global Filters in it. 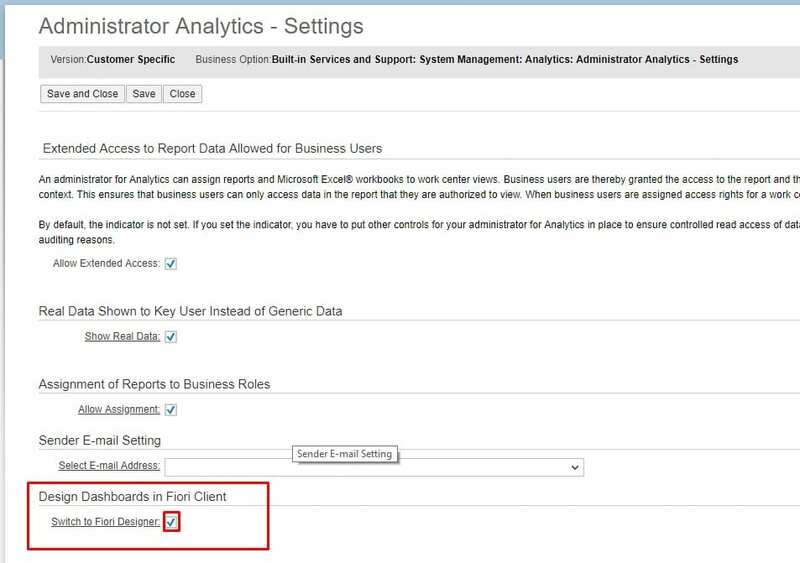 In order to switch to the Fiori Dashboard Editor, you need change the fine tuning activity: Administrator Analytics – Settings. This can be done in the Business Configuration Work Center. The system will show you a warning message that, once activated, dashboards can no longer be build in HTML5. As the Fiori editor provides more functionality, this should not be an issue. Now, the system opens a new tab with the Fiori Dashboard Designer. After naming the dashboard and choosing if you want it visible for everyone or access restriction via business roles, you can start adding reports to your dashboard. This works very intuitively as you select the report view, the selection and the placement in one screen. TIP: add dashboards to your report view for easy finding during dashboard creation. One of the really cool new features is the global filter. With this option you can change the selection of multiple reports within the dashboard at once. For instance, you can filter the entire dashboard per sales organisation, per employee, or maybe filter by year. Adding a global filter is done in the attribute section of the dashboard builder. Once this section is open, you can drag and drop attributes to the global filter. You have four global filters per dashboard. Using the global filter in runtime, just use the search help of the field and the system does the rest.